Mobile Apps for Legal Services: Competition or Advantage? Software developers and progressive law firms are looking for ways to streamline their practices, offer higher quality services for less, and help bridge access to justice. Using mobile apps and other technologies, basic legal services are increasingly available, affordable, and easy to use. But many attorneys are wary of technology like LegalZoom and Shake because they think it poses competition to and might even replace solo and small firms. So how can these solo and small firm lawyers modify their practices to compete in the changing legal market? In this episode of The Legal Toolkit, Heidi Alexander interviews two people who are on the technology side of offering legal services. Abe Geiger, the founder and CEO of Shake, and Bill Palin, an attorney and app developer, discuss why they decided to create the legal technology tools, how solo and small firms might use these tools to gain a competitive advantage, and which non-legal mobile apps lawyers can use to increase efficiency in their practice. Don’t know where to start? Abe, Bill, and Heidi finish the podcast with app suggestions, how to catch up on tech trends, and predictions for the future of legal services. Abe Geiger founded Shake, a platform that allows users to create, sign, and send legally binding agreements from their smartphones. 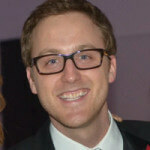 He started his career with early-stage tech startups in New York and San Francisco, and has his MBA from Columbia. Bill Palin is an attorney and developer in Massachusetts. He won the American Bar Association’s Access to Justice Appathon competition with his app, Paper Health, which is a simple health care proxy and living will generator. He has also recently developed RedactoR, a redaction app for attorneys. Bill teaches courses at MIT and Suffolk Law School. Heidi Alexander: Hello and welcome to a new episode of the Legal Toolkit here on Legal Talk Network. I am your host, Heidi Alexander. I’m also a law practice advisor with Massachusetts LOMAP. LOMAP provides free and confidential law practice management consulting services to Massachusetts attorneys. For more information on LOMAP’s offerings, visit our website at MassLOMAP.org. 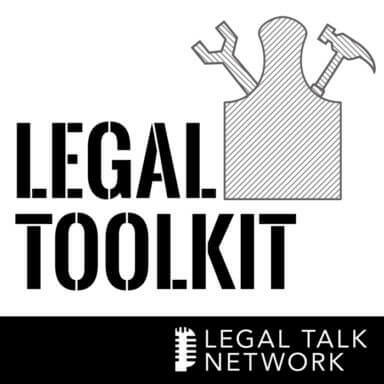 Here on Legal Toolkit, my co host, Jared Correia and I provide you each month with a new tool to add to your own legal toolkit so your practices will become more and more like best practices. So here’s a buzz word you may have heard applied to today’s legal industry: disruption. Typically, when we use that phrase, we’re talking about the ability of technology to disrupt the market for legal services. And this has already begun to happen and will continue to do so. Software developers like my fellow guests, as well as forward-looking law firms, are looking for ways to streamline their practices; offer higher quality service for less and to help bridge access to justice. So today we’ll be chatting about innovative technology in the legal industry, specifically in respect to apps and mobile practice. So joining me now is Abe Geiger and Bill Palin. Abe Geiger is the gounder and CEO of Shake, a platform that allows users to create, sign, and send legally binding agreements from their smartphones. Abe has his MBA, starting his career off with early-stage tech startups in New York and San Francisco. Bill Palin is an attorney and developer in Massachusetts. Bill won the American Bar Association’s Access to Justice Appathon competition with his app, Paper Health, a simple health care proxy and living will generator. He has also recently developed RedactoR, a redaction app for attorneys. Bill teaches courses at MIT and Suffolk Law School. So thanks for joining me today Abe and Bill. Abe Geiger: Thanks for having us. Bill Palin: Yeah, thank you very much. Heidi Alexander: Now, you’re both deeply immersed in legal technology, that’s clear. What’s the draw to this trend and why did you each choose this path. Abe Geiger: The attraction for me, as a non lawyer who always grew up thinking he would be a lawyer, was just the inefficiency and lack of transparency. So I was working at startups and a little bit on the venture side investing in companies. And the attraction to legal was really, really big industry, big service industry with really high margin services. And I thought there was a lot of – kind of by nature – inefficiency and lack of transparency, which technology has proven to be able to solve some of those problems really well. So it seemed like a really good fit in a big market and really kind of underserved historically by technology solutions. Especially at the longer tail – sort of the smaller firms, smaller client consumer lot levels. So that was really what drew me in and then just thinking about the changing economy and the explosion of small businesses and freelancers and more consumer to consumer transactions happening. I thought there was really a big need for sort of smaller transactional legal infrastructure that didn’t exist under the current traditional business model of legal services. Bill Palin: Yeah, let me second everything that Abe said. But as a lawyer, I come from a position of need. When I started practicing law, I noticed quite quickly that all the tools and technologies that I was used to in my everyday life were not available to me as an attorney. And when they were, they were often not very good and they were very expensive. So I really saw it as an opportunity to go expand my practice to enable me to better serve and understand the changing economy as well. So I dove into technology really out of necessity. Heidi Alexander: Both very interesting. And so my next question here is so technology can provide many benefits in practice, if create efficiencies – like Abe, you spoke about – and decrease expenses, which is what Bill mentioned. But of course, many attorneys are wary of technology, like Legalzoom, and maybe even Shake, like your company, Abe. Because they think it might pose some competition and some might even argue over time that it will obliterate solo and small firms. So what’s your response to this and how is technology advantageous to a practitioner? And since I’m going directly at you, Abe, why don’t you start this off? Abe Geiger: Sure. Yeah, I think what Bill said was exactly right and there’s no shortage of services. There are a lot of lawyers that are underworked and there’s a ton of demand that’s not being met, just because the traditional way of accessing services is so cumbersome and expensive. So I think people that embrace these tools to run more efficient practices exactly like – Bill’s not only embracing them but he’s creating them, so he’s even further ahead of the game. But that’s really the future, especially for small firms and mid sized firms. I think they’re the ones that are going to innovate first and then the big firms are going to catch up later on and be the ones that are playing catchup on best practices – which is a big shift from what’s historically been the case, just because of access to technology. So I think trying to fight the battle of keeping people from accessing tools that are out there and whether that’s a template or using email to communicate more efficiently – which I know is still a fight that a lot of the state Bar associations are debating. And some firms are really reluctant to do it, to video conferencing and other tools that are out there to run more efficient practices. We have to answer these questions, but I think the idea that we should try to stop those things from happening and being adapted because they’re going to erode existing business is the wrong way to think about it. It’s how can we run our office more efficiently so that we can actually service all the demand that’s out there and still make money from it. But we just need to be a lot more efficient in the way that we provide those services so we can provide three times more. We can address three times more matters and charge a third of the price for each of them. That’s going to open up a huge market that doesn’t currently use legal services because it’s just too expensive. So that’s the way that I think about it. And we say very clearly that we never thought of ourselves as replacing lawyers. We just see what we do as replacing handshakes and deals that otherwise wouldn’t have been done and wouldn’t’ve been papered at all. That’s typically what we do, and we also service people that have their own contracts and use our platform for those contracts. So it’s not even our templates, it’s not our documents, but they want a nice mobile solution for signing and capturing images and things like that. So we never really thought of ourselves as a replacement for lawyers. We always kind of thought we were helping a group of people who weren’t using lawyers to begin with. Bill Palin: Yeah, I couldn’t agree more. And thinking about your question, I might even take it a step further. You talked about solo and small firms may be worrying that technology’s going to replace them. I think you need to stop thinking about it as replacement but as tools that enable them to compete, specifically. I look at the future and I think of the tools that I will be able to have as a small or a solo law firm. I think there is opportunity to compete with the largest law firms on the planet, eventually, with technology. I just built a tool to redact documents, and it enables me to redact documents on the same level as any large law firm. So if you sort of extrapolate the trends that are moving forward, the tool isn’t going to replace the lawyer, the tool is going to enable him to do more and more. So a small firm can compete with a large firm on a giant class action lawsuit. When we get to that point, it’s going to open more business to solos and smalls than it is going to take away from solos and smalls. Technology, though, it’s going to take away the handshakes that aren’t being served already. So we need to sort of focus on improving the way we deliver services, and I think technology can really improve all of that. Heidi Alexander: So let’s talk a little bit about mobile technology. Both of you develop software for mobile. According to the stats I have read, there are as many as six thousand new apps added to the Apple’s iOS app store on a monthly basis. So how can attorneys take advantage specifically of mobile technology? And Bill, let’s start with you. Bill Palin: Well, I’ll try to put my developer’s hat aside for a minute and not complain about the search in the iOS app store which really makes it difficult for apps to move their way up or to be found. I think attorneys shouldn’t go to the gas store to look for tools, because I think you’re never going to find anything through that particular search. But I think the apps that are being made available, Slack, Shake, Skype, everything else, are enabling us to communicate better. I use different apps in my own practice to scan documents in. They’re not necessarily legal apps, but they’re apps that I use in my legal practice. So I would say developing a toolkit of tools that enable you to practice better, faster, communicate. Because really, the phone is all about communication, right? And working with their clients is about communication. So finding interesting ways to use technology to do that. Unfortunately, there aren’t a ton of legal specific apps that are worth breaking the bank for right now, I would say. Abe Geiger: Yeah, I think there’s a number of tools and most of them are not legal specific that people are starting to play around with and try and incorporate into their practices. Document creation is such a core work product for lawyers in a way that they interact with clients. So Google Docs and other apps like that that let you edit things on the fly. Microsoft Word has gotten leap years better in the last couple of months with the way that they let you access your Word documents on mobile devices, and free. Microsoft has really changed their tune and their approach to mobile and cooperation. They partnered with Dropbox, even though it’s a competing service to theirs. But I think they’re really getting it and they have such a foothold in the legal community that’s so used to using Microsoft Word, that I think that could be a big deal for people to keep an eye on in the legal industry with respect to documents. But I think it all comes back to there’s so much available that’s consumer-friendly, mobile technology, that is applicable to communication, any type of communication, plus document management and creation and signatures and things like that that it’s just inevitable that people are going to start using those free, accessible tools to run their business. And you don’t need to buy a big suite of services from one of the traditional enterprise providers to be able to run your business. You can do it all from Google. I’m exaggerating a little bit but not that much. We run all of our business on Google apps enterprise, which has great security and is mobile friendly and we can use Google Docs. It’s just really easy and there’s no reason that we would want to get an exchange server. So I think small firms are going to be doing the same thing. And to bring it back to mobile, I think, it’s new, and so it’s a way to kind of get people’s attention for new tools. But at the end of the day, it’s really just an extension of the business. So people have always asked us, why mobile for contracts, that doesn’t make sense. You need a big screen to read these long documents. Why would you want to do that on mobile? And I have always said, you’re going to want to do stuff on mobile. It doesn’t mean you’re only going to do it on mobile. Think about email and how we buy things. Five years ago people didn’t want to do email and mobile devices. Two years ago people didn’t want to buy stuff on mobile. And now, they don’t have any problem doing that. It doesn’t mean they don’t buy stuff on their computer or use email on their computer, but the thought of not having access on your email to send and receive whatever you want on your phone at all times is ludicrous at this point. But it wasn’t even until 2007 that the iPhone existed. So that stuff changes really fast. I think the things people want to use on mobile will be an extension of what they use on their desktops and they’re slightly different in these cases. That’s kind of the first and final mile what you think about with mobile products. So it’s maybe not the heavy lifting heavy drafting lots of negotiation back and forth that you do on your computer. It’s the small tweaks, it’s to get the signature, it’s start the process, it’s do some intake, those types of things. And they go back and forth with a laptop and a tablet and a phone and your Apple watch. Who knows what people are going to come up with with solutions for Apple watch. So it’s an extension for workflow and there’s some things that mobile does really well that others don’t and it’s a new medium, relatively. So it’s a way to get some attention for some of these new workflows as opposed to changing behavior. But at the end of the day, it’s just an extension of what people are doing on their computers. It’s not necessarily entirely new solutions. Bill Palin: Yeah, if I can just add, I started building stuff because I was stuck in court without a Wi-Fi connection and I wanted to be able to build documents while I was on the go. Being able to build documents or at least get documents started has been a really important aspect of my personal practice. And just to add onto what Abe said about people just starting to realize mobile technology, we’re just now seeing Apple really – in the last week they had their developer conference. And you can see the amount of time, money and effort they’re investing in being able to store documents, pass documents around with their new CloudKit framework; which I think I can talk about because you can download all the videos from the WWDC. But they’re making it much easier for small developers to build communication across devices. And I think it’s going to only enhance the communication tools and the document creation tools that we’re seeing now moving forward, at least from the Apple side. Google’s well ahead of Apple in that respect. Heidi Alexander: Alright, well thank you Bill and thank you Abe. I kind of want to call you guys Bill and Ted. Anyhow, we’ve got to take a quick break, but stay tuned because after the break we’ll be talking about apps and the thinking behind their development. Heidi Alexander: Welcome back to the second half of our show with Abe Geiger, CEO of Shake, and Bill Palin, attorney and software developer. So I’m curious about the development process behind your mobile apps. What type of thinking goes into development? What are the first, second and third steps to developing an app and let’s start off with Abe. Bill Palin: First, second and third steps to developing an app, I would try to break it into three instead of more than three. Figure out what the problem is and who the users are and create some personas is what we typically do. We think of the user, their pinpoint, making sure that we’re focused on the right problems and not trying to solve everything at once. So staying focused, I guess, on those things. And then once we’ve identified some user stories that we want to solve for – sort of products speak for – as a user of the app, I want to be able to create a document really easily without having to read a whole bunch of stuff on the screen and then sign it and send it to somebody to get their signature. That would be a couple of the user stories for us. Then we go into the user experience and design phase of the product development process. So we mock up some screens and design them so that they look pretty and then we build it. So that’s the building, I guess, one, two, three. The products back, the UX and design, and then the actually build. And then once you submit it to Apple, you have to kind of wait and keep your fingers crossed. It’s different with Google, but with Apple, it’s the more onerous of the two. You submit it, they review it, so the 60,000 apps you mentioned a month all get looked at by somebody, at least one person. It’s varying in degrees of review, and then once they accept it, it can go live in the app store. So that can take up to two weeks. It can take as little as a couple of days if it’s a small change to an app. But that’s sort of the ideation to live app process. And on Google, it’s essentially the same at the beginning and then the Google process is immediate because they don’t have an approval step. You just submit it and it’s live. And on the web, I would say it’s the same thing once you submit something. Once you push it live on your own, it’s on your domain, it’s live and anybody can see it, so they don’t have an approval process. Just at Apple, our lovely friends at Apple want to do their own quality control. Heidi Alexander: How about you, Bill? Bill Palin: Yeah, I would say that’s what I do now. At first, I would have an idea and I would start building it and then I would spend six weeks trying to figure out how to design it after it was built. So I learned quite quickly or quite slowly that you have to sort of – I would find a pinpoint, find something in my practice or find something in the practice of some of the law students that I see and then try to design a solution for it. I spend a couple of weeks building out a design, trying to understand the best user interface. Because building on a phone, something that’s a document or something very large, you have to understand your screen space. So spending all that time figuring out the best way to do it and then going about building it and of course everything else is the same. Build it up, get it tested, send it to Apple, and cross your fingers that they don’t reject you for something kind of silly. So I’ve entered that a couple of times. And I haven’t built anything for Android, but I hear it’s the same except, like Abe said, a little less onerous. I think they have machines. Machines looking for spam, I hope, or malware? Abe Geiger: Yeah, I think they do a little bit, but it’s much more laissez faire. Bill Palin: Well, that’s sort of Google versus Apple, isn’t it? Heidi Alexander: So you’ve got all these apps out there, right? There’s so many of them. What would you tell our listeners to look out for when they choose an app? Is there a certain set of criteria? And Bill, you mentioned something earlier, you said don’t just search the app store. So what are you looking for when you personally are looking for an app or an attorney is out there trying to find an app for their practice? Bill, why don’t you start? Bill Palin: Yeah, I guess this is just sort of general developer gripes about the app store. Do a search, go to Google or DuckDuckGo or whatever and search, ”developer app store.” You’ll find a litany of blogs and complaints about how hard it is to rise up and how the search algorithm isn’t very good. So I’m not really sure if there is a best way to find new technology, I guess other than word of mouth and looking at other reviews and finding other technology for businesses that you liked. If you find something that’s made a good tool, you can look to see what other things they do, listening to developers. I listen to developer podcasts which I guess are probably not the best way for lawyers to find technology. But I would say looking through the web is really the only way to go about doing it. Looking at the ABA Journal, Legal Talk Network, finding out what other people are using is probably the best way to go about doing it. Specifically, if you’re looking for legal technology, because legal developers are going to reach out to people like you, Heidi, and show off the tools they have. Now there’s obviously the exception of Shake, which has risen very high. It’s gotten a lot of press and it’s a wonderful tool. I recommend it to everyone I come across. So I would say that’s really what you have to do. It’s a little rambling, you have to go out and search for it. But there’s really not another good way to go about doing it. Abe Geiger: Yeah, thanks Bill, appreciate that. Yeah, I agree. a search in the app store is kind of a black hole. There’s not a whole lot you can do there. You can optimize your listening a little bit in the app store so you want to put in as many keywords that they let you that are as relevant as possible about what you do and what your app does. And that can help a little bit but there’s just so much out there that it’s hard to rely on that. So what we did was we spent a lot of time with Apple and with their developer relations team, their editorial team to try to get featured, and it’s a total crapshoot. You can do all that and not get featured, but if you do it’s a big win because search is so bad and finding things is so hard. If you’re featured by Apple, if you’re sort of picked to be on the homescreens of the app store, you get a ton of downloads that way. So that’s helpful and I think it helps with credibility, it helps get press, it helps raise awareness and all those things. We’ve also spent a ton of energy and time on content, because I think with legal specifically, trust is a big issue. And whether it’s lawyers wanting to make sure they’re not the only ones using some new tool because they’re worried about liability, confidentiality, all of those things which are heightened in the legal industry. They don’t want to be the first person testing something out and be the guinea pig. It can be really helpful to build a brand credibility by producing content. So early on when we said we want to tell people that aren’t using legal services at all that this is a solution that for some of the things that they might want. Other things that we tell them specifically, you should really talk to a lawyer about this. But we also want to talk to lawyers in a voice that says we’re not trying to write short contracts to cut you out because we’re lazy. We did the research, we understand the law, we understand what we’re talking about and we’re not anti-you. So I think building that voice and creating the content to drive traffic to our tools are kind of a roundabout way to get people to download our apps and use our tools because it’s so hard to find stuff in the app store. Heidi Alexander: So it really sounds like you’re doing what you do when you’re looking for any other service provider. You might be vetting the developer, you might be looking to other incredible people like maybe a law practice adviser, or a podcast or a publication like the American Bar Association’s Law Technology Today, which is a blog but very true for attorneys. Bill Palin: I had a little bit of better luck in the Mac app store. Like I said before, I just released a redaction tool for attorneys to speed up the process of redacting PDF documents. It’s the same but it’s also very different because it’s not nearly as crowded. So it’s actually much easier to sort of be one of the top hits for legal, be one of the top hits for law, and I think it’s been a real boon for me from that perspective. So I think it’s just the mass of applications out there. Abe Geiger: Well also, if you’re in the Mac app store, you’re downloading something on your computer, you’re searching and doing your research there, with mobile apps, a lot of times if you’re on your phone, it’s because you need something right now and searching for something that’s more immediate. If you’re doing your research about mobile apps on your computer in the iOS ecosystem, you can’t push the download straight to your phone. You can with Android, which is actually really nice; it’s a nice feature. You hit the download button on your computer and it goes right to your phone, but for a long time that hasn’t been the case with Apple. So if you fix that, you might see better conversion from a web research experience to mobile app downloads. Heidi Alexander: That’s interesting. So putting aside your own apps, which of course are excellent products, are there other mobile apps that you recommend to attorneys that you think are beneficial to practitioners? Abe, let’s start with you. Abe Geiger: Yeah, I think if you’re doing hourly billing, if that’s the model that you use, I think Clio has some good mobile tools and Harvest I believe does as well and RocketMatter for tracking time and things like that. Which I think makes a lot of sense, especially if you’re on the go a lot, if you’re in court a lot and you need a quick way to track your time and keep track of that for billing. I think all of the final management tools have really good mobile solutions. Dropbox, Box, and Google Drive. Dropbox has gotten a bad reputation for not being as secure as the others – especially Box, which may be the case, but I think is worth looking at again because they’ve made a lot of progress in the last year on that front in terms of compliance and security. So those are great. It’s really good user experiences for sharing documents. And definitely look at the Microsoft Suite again if you haven’t recently and check out their mobile apps. Because they really – like I said – have done a great job and they also suffer from not as good reputation in terms of being progressive but they’ve done a good job in the last couple of months. And I would encourage people to try and use the tools that they use normally. I mean, use Skype, use Google Hangouts as a way to have interactions with clients and consider doing things like that rather than trying to meet in person which is a lot more expensive and harder to schedule. Think about ways to use consumer apps for your business. Bill Palin: I think that’s a really great list. I think that makes a lot of sense. I would also add, the tool that I use. I find myself using, surprisingly the most, is a tool called ScanBot. It’s just one of a number of really good scanning tools for documents. So I can collect documents, it’ll auto crop images, I can upload it to Dropbox or Box, or whatever I feel most secure with. And I’ve been using it a lot for blueprints, things that I couldn’t normally photocopy on a scanner. And if you were an attorney and you are always having people coming up to you to ask you about simple contracts, you should definitely check out Shake and send people to Shake. It’s been really helpful for a lot of people who come to me all the time. Heidi Alexander: Abe, I think you need Bill on your marketing team for Shake. Abe Geiger: I’m telling you, I use it all the time to send people to. It’s one of the really great legal apps out there and there aren’t that many great ones, it just happens to be. Bill Palin: Well, thanks. Yeah, we get a decent number of referrals from attorneys, actually, which is contrary to what you might think. But everyone who’s an attorney who’s got a cousin or sister or brother or somebody who calls them up and says, “I need an NDA, do you have one,” or, “I need to do X, Y and Z.” You know, that’s not at all the type of law that I practice. I don’t really want to spend a lot of time drafting this up for you and it’s not my expertise. There are some tools out there you might be able to check out that might serve your purpose. So we get those types of referrals more often than you might think. Heidi Alexander: Alright. So, last question here. Any predictions for the future of legal technology? And Bill, let’s start with you. Bill Palin: Well, one of the things that I’m really focused on is the low energy bluetooth. I ordered a couple of low energy bluetooth beacons. And for people who don’t know, almost all new phones have what’s called a low energy bluetooth. And it’s what malls and advertisers use to track people moving in and around areas. I think that we’re going to see a lot of technology coming down in the future that uses the context of where people are and how long they’ve been there, where they are, to really help provide more information to people when they need it. I’ve definitely been looking into installing these kinds of things in courthouses to try to find better information to people who are pro se litigants. I think we’re going to start seeing more tools coming out like that in the future. So everyone ends up having a kiosk on their phone is sort of what I’m predicting. Abe Geiger: I totally agree with that, I think that’s going to be really, really great. The way that I think about it, the direction I think we’re going, is back to that supply and demand issue. There’s tons of supply. People are underworked, lawyers are underworked, can’t find work, even though there’s so much demand for their services and finding a way to sort of shift that supply curve over so that people can operate more efficiently and still make a living wage practicing law. It’s not the machines eating the people’s work. It’s the machines making the people more efficient so they can do more work faster and better, like Bill said. I think that’s the future. It’s finding a happy medium of what things can we automate that will make it easier for lawyers to provide better, faster services and for people to get access to those services more easily. I think that’s the future. Bill Palin: Can I just say I do think, though, that the low hanging fruit is going to be taken away from people. So the people who are building simple wills and charging $500, that era of easy money from that perspective is going to go away if it hasn’t already. So there are some elements of technology eating some of the lawyers’ lunch. But providing another way to get more lunch or get a different type of lunch. So I would be shocked if technology doesn’t take a significant portion of work in that area. Abe Geiger: I think that’s probably true. I also think there’s some shifting in business models that’s starting to happen. In the UK, they have different classifications for lawyers and people that provide legal services that aren’t lawyers. Kind of like the equivalent of a nurse and a doctor. I think we’re going to see more of that here. I know in Washington, they’re doing a lot on the cutting edge of redefining who can provide legal services. So I think that’s going to change as opposed to being a black and white you have to be a licensed attorney in order to provide any services. I think that’s going to be different in ten years, in twenty years than it is now in the US. Heidi Alexander: I agree with both of you and I think the legal industry has sort of notoriously been behind when it comes to legal technology. So it will be interesting to see how our industry adapts and adopts legal technology. But I am sad to report that we’ve reached the end of another episode of the Legal Toolkit. I do want to thank my guests, Abe Geiger and Bill Palin for taking the time to drop by our virtual studio. Abe and Bill, if your listeners would like to learn more about you and your ventures, how would they go about doing so? Bill, why don’t you start off? Bill Palin: Well, you can go to my website, CambridgeLaw.org, or you can search for some of my tools in the app stores. You can search for PaperHealth in the iOS app store, or my new Mac tool, Redactor, in the Mac app store. Heidi Alexander: Alright, how about you, Abe? Abe Geiger: You can find us on the web at www.ShakeLaw.com, or search us in the iOS or Android app store to find our mobile apps. Just type in Shake App and that should get you there. Heidi Alexander: Great. Well thanks again Abe and Bill, and thank you listeners for joining me for another episode of the Legal Toolkit. And remember you can check out all of our shows any time you like at LegalTalkNetwork.com.